How many of you are getting excited about the newly released Galaxy Note 7? Or do you have one in your hands already? I couldn’t agree more that it’s an excellent and well-rounded smartphone that features great screen, outstanding camera, expandable storage, longer battery life, etc. However, it has shortcomings which make us disappointed too. Take one as an example, the Galaxy Note 7 can't play DVD movies directly. Meaning, if you want to watch your favorite DVD movies on Galaxy Note 7, you’ll need to convert DVD to Galaxy Note 7 compatible formats first and then transfer the files to your device. It does sound a bit time-consuming, but not too worry because Video Converter Ultimate will make it easy for you. Video Converter Ultimate is easy to use for ripping DVD to Samsung Galaxy Note 7, Galaxy S7, Galaxy S6, Galaxy S6 Edge, Galaxy S5 and more. 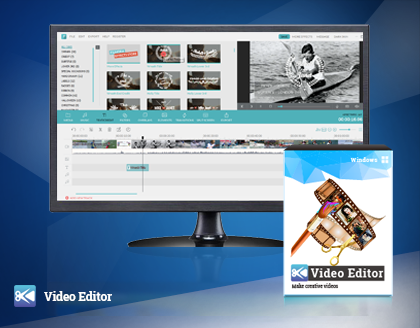 It packs 159 video formats including MP4, MOV, 4K, 3D, M4V, H.264, etc. so you are able to convert and watch videos on iPhone, Samsung, Sony, PSP with ease. If converting DVD movies to Galaxy Note 7 is not attractive enough, what about downloading YouTube/Facebook/Yahoo videos with one-click? Just follow the steps below to copy DVD to Galaxy Note 7 now. Video Converter Ultimate is capable of ripping DVD to all popular video and audio formats for Samsung devices and tablets. Insert the DVD disc into your computer's DVD-Rom after downloading and installing the program. Then, launch the software on PC and then you will see the main interface. Go to "Load DVD" > "Main Movies" or "All Movies" to import DVD sources into the program. Aside from DVD movies, you can also add DVD folders, ISO files to the program. Click on the "Output Format" button, a drop-down window will show up allowing you to choose a desired format or device to convert to. It supports various platforms such as Samsung, Apple, Game or Motorola. Select "Device" > "Samsung" > "Galaxy Note 7" to continue. Note: If you would like to keep the video as high-quality, then go to "Preset" section at the bottom right corner of the interface, and select "High Quality" from the drop-down list. Click the "..." button in "Output Folder" section to browse and select the path where you would like to save the output files in. Select the "Convert" button to start ripping DVD to Galaxy Note 7 on computer. After that, copy the converted file to your Galaxy Note 7 with the USB cable. Video Converter Ultimate is qualified enough to rip DVD to Galaxy Note 7 with fast speed. What’s more, once the DVD movies are copied to the program, you are able to edit the movies in different ways such as adding effects, creating watermark or adding subtitle, etc. This is the end of this tutorial, have a nice time with your DVD movies on Galaxy Note 7!